Formal look meets luxurious feel. 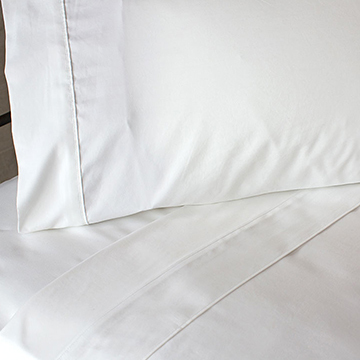 Outfit your bed in its best hotel-white linens. 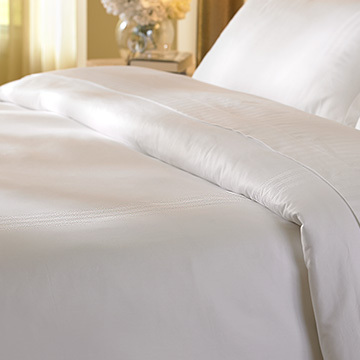 Expertly crafted from sumptuous microfiber and featured in The Ritz-Carlton Spas. From high-thread-count and innovative fabrics to stylish patterns, The Ritz-Carlton collections of hotel linens by Frette and Comphy deliver luxury that only gets better with time. Explore our Classic White and Tuxedo Striped collections crafted of elegant extra-long staple cotton sateen, lush in both look and feel, or revel in our Spa Serenity Sheets, crafted of finely woven microfiber and featured in The Ritz-Carlton Spas across the globe.